Ms. Cheryl (Amy’s mom): I’m just waiting on the little quiches and then we can eat. Granny Red (Amy’s grandma): Well, when’s she gonna get here? Ms. Cheryl: When’s who gonna get here? Granny Red: Lakeesha. She needs to hurry it up because I’m hungry. Amy (erupting in laughter): No, Granny! We’re waiting on the “little quiches” not somebody named “Lakeesha”! I think people I know now in my grown-up, suburban and/or professional life underestimate the extent of the countryness of my upbringing. It’s one thing to grow up in the South, it’s an entirely other thing to grow up in the rural South. We took country to a whole new level where I’m from. And I wouldn't trade any of it for all the tea in China. This recipe works for any type of quiche. I typically make these crustless but you can absolutely use a crust if you like. And if you’d rather have a traditional quiche pie, you can use this for that too instead of making the mini quiches. See recipe notes for these variations. Drain spinach very well. Wring it out with your hands if you have to just make sure it’s very well drained. Add drained spinach to a large bowl. Cut bacon lengthwise then dice into small pieces. Sauté bacon with onion over medium-high heat until bacon is starting to brown. Add garlic and continue cooking for 2 minutes. Add bacon mixture to the spinach. Add cheese and remaining ingredients to spinach mixture and mix well. Spray a mini muffin tin with cooking spray. Fill each tin (filled level with top but not overflowing) with spinach mixture and bake at 350 minutes for 15-17 minutes or until edges are starting to brown. Makes approximately 32 mini quiches. 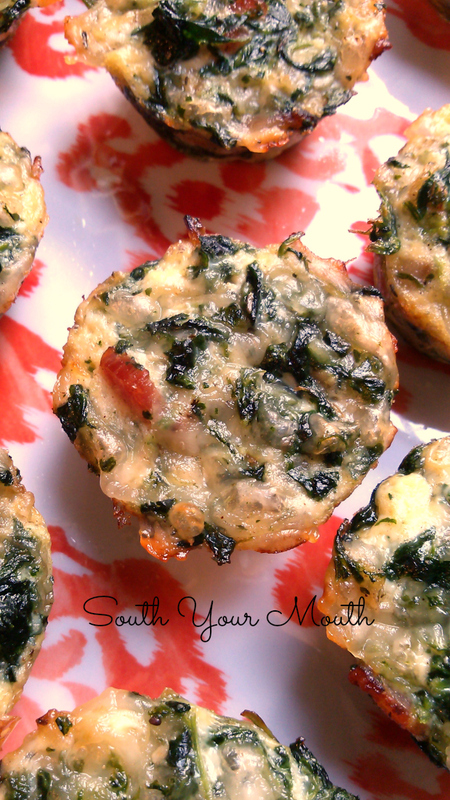 You can also use this recipe to make two 8-inch, one 9-inch deep dish or 12 standard muffin sized quiches. Quiche is done when center is set and edges are golden brown. Use this recipe with or without crust. If using with a pastry crust, cook crust half-way before adding quiche filling. Its 3:49 in the morning and I am laughing out loud ! ! Lakeesha ! Blahahahahahaha ! I will never think of quiche the same way every again. Does this recipe really only use 4 eggs for the amount of quiche it makes? (a 9" deep dish or 12 muffin-size quiches?). I want to try this soon but that amount of egg seems too small. the food we cook always tastes like our cooking! This is a great recipe. SOOOOO delicious. Thank you so much for sharing it! Simple and fresh tasting. Thank you Lakeesha for this low carb little quiches! No really Mandy, I thank you. Love quiche, love the low carb life! 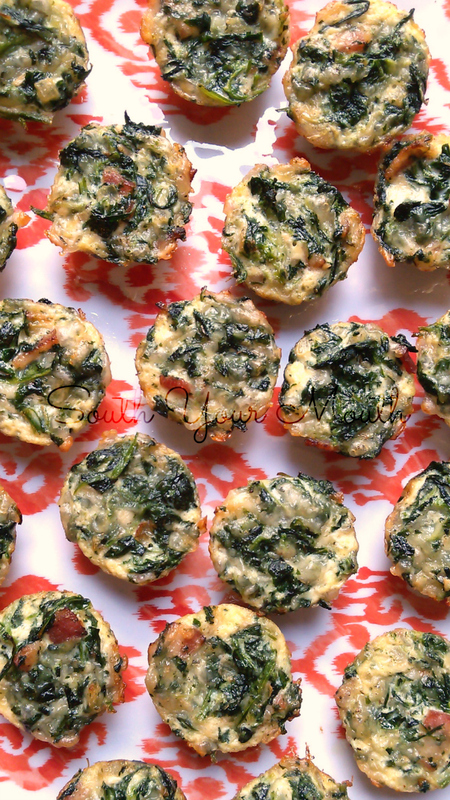 How many carbs in this crustless quiche?